Pelenakeke Brown, Rodney Bell, Katrina George and Owen McCarthy have created a new multi-disciplinary work Te Kūititanga (The Narrowing). This Pasifika led collaboration will have it’s first development presentation with Movement Research at the Judson Church April 1, 2019. NYC based artist Pelenakeke Brown was selected by the Artists of Color Council at Movement Research – NYC’s leading exploratory dance laboratory, to curate a series of dance works. She selected Rodney Bell, a leader in NZ integrated dance to present a piece around her theme, body sovereignty. Rodney Bell (Ngati Maniapoto), is an Isadora Duncan award-winning artist who has extensively practised in NZ and overseas. Following his contract with USA’s leading integrated dance company AXIS (2007-2012) Rodney didn’t have the resource to return home, and ended up living on the streets and overstaying. Rodney’s inability to enter onto US soil is an integral component to the work, calling to attention the current immigration crisis occurring in the US but also across the world. Rodney’s theatrical-length autobiographical work Meremere is available through Movement of the Human. In March the team converged in Te Kūiti, Rodney’s whenua (land), to generate a new work honoring his sovereignty as well as the sovereign body of Te Kuiti itself. Performer Katrina George and Designer Owen McCarthy collaborated with Rodney, offering their perspectives and skills as Samoan artists. ‘Te Kūititanga’, or the narrowing, was developed from conversations between the artists and through contact improvisation between Katrina and Rodney. 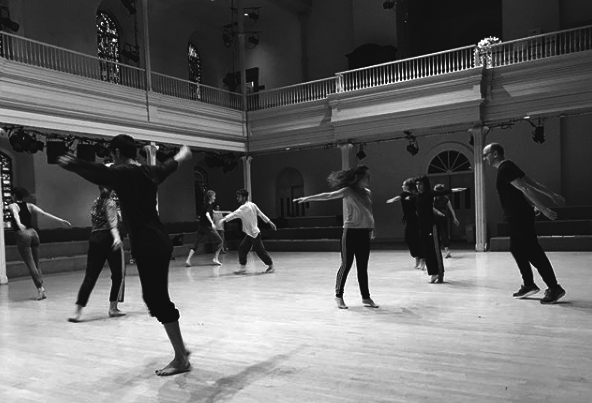 Movement Research (NYC) is one of the world’s leading laboratories for the investigation of dance and movement-based forms. Valuing the individual artist, their creative process and their vital role within society, Movement Research is dedicated to the creation and implementation of free and low-cost programs that nurture and instigate discourse and experimentation. Movement Research strives to reflect the cultural, political and economic diversity of its moving community, including artists and audiences alike. A performing arts space, social justice centre and place of worship. Beginning in the 1950s, the church supported a radical arts ministry making space available to artists for art exhibitions, rehearsals, and performances. It was to be a place where artists could have the freedom to experiment in their work without fear of censorship. Presenting artists have included Robert Rauschenberg, Jim Dine, Tom Wesselmann & Yoko Ono. 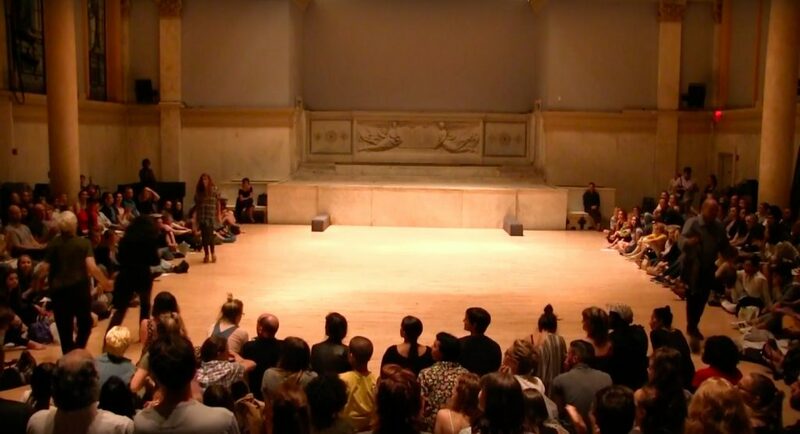 The Judson Dance Theater, which began in 1962, provided a venue for dancers and choreographers including Trisha Brown, Lucinda Childs, & Yvonne Rainer to create and show their work. Judson Church is located opposite Washington Square Park, in Greenwich Village, NYC. With the support of NZ’s Arts Council Creative New Zealand, and crowdfunding through Boosted. Te Kūiti Pa Trustees & whanau, Shannon Manawaiti, Kingi Turner, Roimata Wipaki, Morgan Whitfield, & Tommy Berridge.